“Well, a chef can make amazing things happen when they create things to eat. A Chef takes ordinary food that we eat every day and turns it extraordinary.” (from Sweet Secrets by Stephanie Weippert). Michael was told not to touch the chocolates. What 7-year old would follow those instructions? After Michael eats the chocolate, he is transported to another world – one run by Chefs and the power of food. His step-father Brad must follow after and retrieve Michael from this new and magical realm with the help of next-door-neighbor William, who is, in fact a powerful Chef. Michael is handed off from one person to another in this realm until he lands at the powerful school called Cordon where they want to teach him to be a true Chef. But what about his mother? Will Michael leave everything behind to learn how to make cookies fly? This novel is a teen and young adult book but contains POV switches between a 7-year old and his step-father. Because half the narrative takes place in the perspective of a child, this book should be middle grade, not young adult. Since the other half of the narrative is told from the point of view of an adult, the classification is harder to define. This book crosses genres. The start of the story was slow and didn’t pick up until about a third of the way through. Even though there is an immediate action with Michael transporting to a new world, there wasn’t much tension. He was never in danger. There wasn’t much tension anywhere in the novel, mostly just a series of events. Some of the events were quite fascinating, such as any part that showed the true magic of this new world, but other scenes and parts dragged due to the over description and lack of focus. Many scenes and much dialogue did not move the plot forward. The first main character, Michael, is 7 years old, but at times acts younger. Such as when he is quick to cry or unable to keep his hands off others’ things. At times, he acts older than his age, like when he says mature things and follows directions well. The other main character, Brad, did not act like an adult. His dialogue was juvenile and his character acted much like an excited and emotional teenager throughout. Many of the Brad and William scenes were back and forth question and answer to explain the world and how Chefs worked. These were details that would have been better shown and not told. The scenes where the alphabet and numerals of the world were explained dragged as well and did not move the action forward. 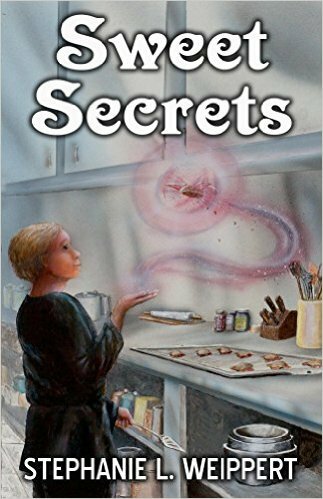 I loved the imaginative uses of food, such as powdered sugar as a source of power and the way food is created to make things in this world, like cars. It’s a very logical imagination, though, and I had a lot of fun visualizing from all the food references. This foodie-inspired world was fully fleshed out with levels to cooking skills and subtle references to our current world, such as Cordon being a top cooking school. I was very glad the Chef tests were shown in great detail and explained fully as they were the most interesting parts of the story! The recurring theme of not being able to pronounce Michael’s name was quite funny. This book was highly imaginative, but the plot and scenes lacked focus. Disclaimer: I received a free ARC copy of this book from the author and this is an honest review. This novel was published by TANSTAAFL Press on Feburary 27th, 2016 and is available on Amazon here. I’ve never read a book with POV switches between a child and an adult. I think it’s a great idea and makes total sense to do it this way! I think it’s harder to market a book that doesn’t sit firmly in any one genre, but it is something different.